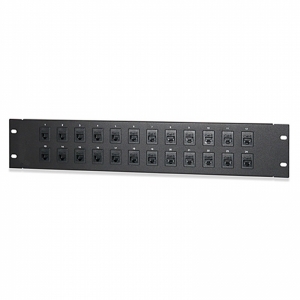 The BetterBox junction panels are ideally suited to those areas where your cables congregate. 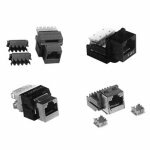 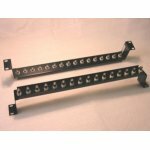 These panels are available to accept all standard interface connectors on the market, such as, all of the D type family, coaxial. 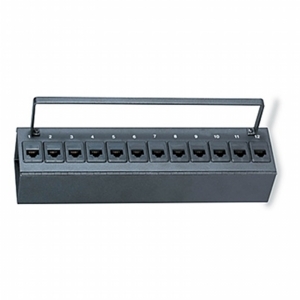 This feature gives you an endless number of possibilities to tidy your cable areas. 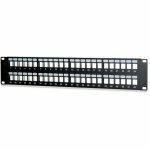 All our junction panels are designed to fit standard 19” rack cabinets and with an optional wall box they can be fitted directly to the wall. 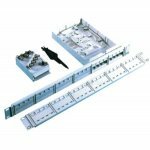 Our customised panel building service can design and build panels to your specification or can design a solution to fit your requirements. 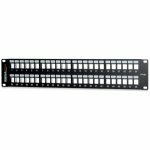 As well as customised units we can also supply standard off-the shelf fully loaded panels with standard configurations. 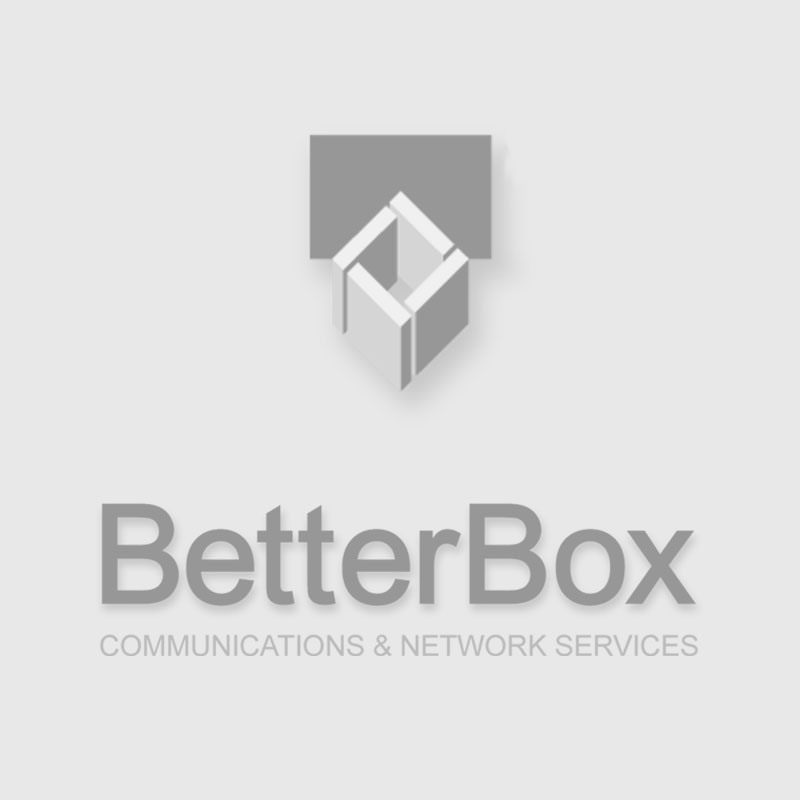 BetterBoxs Category 5e and 6 Patch Panels provide the performance and resilience necessary for present and future Data Communications Networks applications including Gigabit Ethernet. 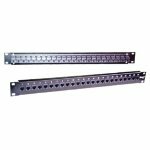 BetterBox CAT-6 PatchPanels are available in normal or high-density options and with up to 48 ports per panel from stock (up to 96 ports to special order). 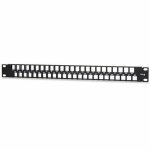 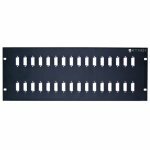 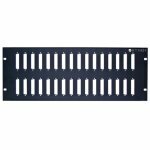 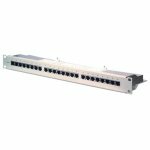 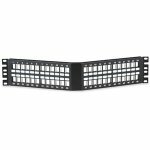 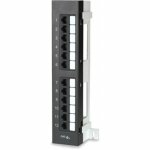 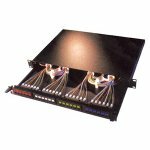 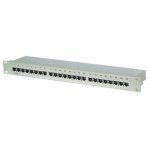 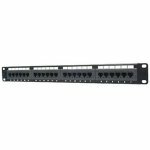 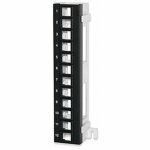 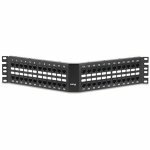 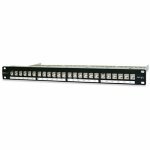 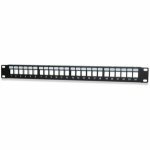 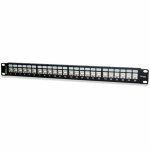 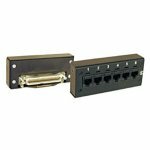 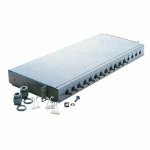 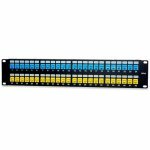 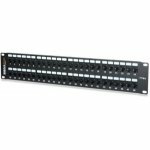 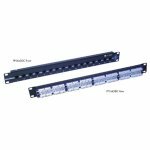 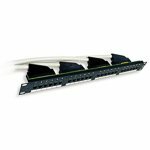 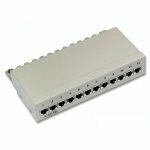 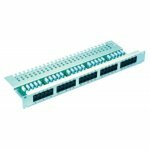 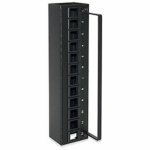 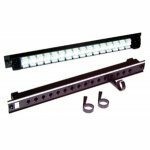 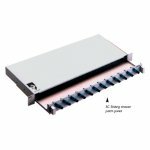 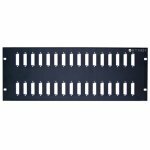 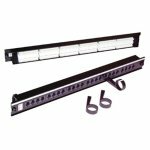 These panels consist of Industry Standard IDC connections and high performance RJ-45 jacks. Specially designed individual saddle labels facilitate installation and enhance cable management. 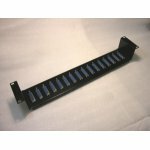 Avalible with hook and loop cable retainers at either end for bundling cables, making them very popular with installer. 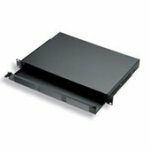 Cable management can be further enhanced by the use of optional cable trays. 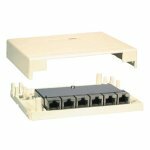 Each RJ-45 port is numbered with a removable ID label protected by an acetate strip. 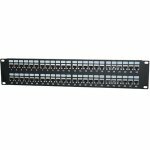 24-Port Category 3 RJ-11 2W Telco Patch Panel, USOC, Female, 3.50"H "
24-Port Category 3 RJ-11 2W Telco Patch Panel, USOC, Male, 1.75"H "
24-Port Category 3 RJ-11 4W Telco Patch Panel, USOC, Female, 3.50"H "
24-Port Category 3 RJ-11 4W Telco Patch Panel, USOC, Male, 1.75"H "
24-Port Category 3 RJ-12 6 Wire 110 Patch Panel, USOC Wiring, 1.75"H "
24-Port Category 3 RJ-45 2W Telco Patch Panel, USOC, Female, 3.50"H "
24-Port Category 3 RJ-45 2W Telco Patch Panel, USOC, Male, 1.75"H "
24-Port Category 3 RJ-45 4W Telco Patch Panel, USOC, Female, 3.50"H "
24-Port Category 3 RJ-45 4W Telco Patch Panel, USOC, Male, 1.75"H "
24-Port Category 3 RJ-45 8 Wire 110 Patch Panel, USOC Wiring, 1.75"H "
24-Port Category 6 Angled Field-Configurable Patch Panel, 1.75"H "
24-Port Category 6 Angled Patch Panel, T568A/B, 1.75\"H"
24-Port Category 6 High Density Feed-Thru Patch Panel,1.75"H "
24-Port Category 6 Patch Panel, T568A/B Wiring, 1.75"H "
24-Port Category 6 Screened High Density Feed-Thru Patch Panel,1.75"H "
24-Port Category 6 Screened Patch Panel, T568A/B, 1.75"H "
24-Port Category 6A 10G Angled Patch Panel, T568A/B, 1.75"H "
24-Port Category 6A 10G Patch Panel, T568A/B, 1.75"H "
24-Port Category 6A 10G Screened Patch Panel, T568A/B, 1.75"H "
24-Port Category 6A Angled Field-Configurable Patch Panel, 1.75"H "
24-Port Category 6A Field-Configurable Patch Panel, 1.75"H "
24-Port Fast Ethernet Panel, 8P/4W Pins 1, 2, 3, & 6, Female, 1.75"H "
24-Port High Density Unloaded Angled Multimedia Panel, 1.75"H "
24-Port High Density Unloaded Multimedia Panel, 1.75"H "
48-Port Category 3 RJ-11 2W Telco Patch Panel, USOC, Female, 3.50"H "
48-Port Category 3 RJ-11 2W Telco Patch Panel, USOC, Male, 1.75"H "
48-Port Category 3 RJ-11 4W Telco Patch Panel, USOC, Female, 3.50"H "
48-Port Category 3 RJ-11 4W Telco Patch Panel, USOC, Male, 1.75"H "
48-Port Category 3 RJ-12 6 Wire 110 Patch Panel, USOC Wiring, 3.50"H "
48-Port Category 3 RJ-45 2W Telco Patch Panel, USOC, Female, 3.50"H "
48-Port Category 3 RJ-45 2W Telco Patch Panel, USOC, Male, 1.75"H "
48-Port Category 3 RJ-45 4W Telco Patch Panel, USOC, Female, 3.50"H "
48-Port Category 3 RJ-45 4W Telco Patch Panel, USOC, Male, 1.75"H "
48-Port Category 3 RJ-45 8 Wire 110 Patch Panel, USOC Wiring, 3.50"H "
48-Port Category 6 Angled Field-Configurable Patch Panel, 3.50"H "
48-Port Category 6 Feed-Thru Patch Panel, 5.25"H "
48-Port Category 6 High Density 48-Port Feed-Thru Patch Panel, 1.75"H "
48-Port Category 6 High Density Feed-Thru Patch Panel, 3.50"H "
48-Port Category 6 High-Density Field-Configurable Patch Panel, 1.75"H "
48-Port Category 6 High-Density Patch Panel, T568A/B, 1.75"H "
48-Port Category 6 Patch Panel, T568A/B Wiring, 3.50"H "
48-Port Category 6 Screened High Density Feed-Thru Patch Panel, 3.50"H "
48-Port Category 6A 10G High-Density Patch Panel, T568A/B, 1.75"H "
48-Port Category 6A 10G Patch Panel, T568A/B, 3.50"H "
48-Port Category 6A 10G Screened Patch Panel, T568A/B, 3.50"H "
48-Port Category 6A Angled Field-Configurable Patch Panel, 3.50"H "
48-Port Category 6A High-Density Field-Configurable Patch Panel, 1.75"H "
48-Port Fast Ethernet Panel, 8P/4W Pins 1, 2, 3, & 6, Female, 3.50"H "
48-Port Gigabit Ethernet Telco Panel, 8P/8W 568B, Female Telco, 3.50"H "
48-Port High Density Unloaded Angled Multimedia Panel, 3.50"H "
48-Port High Density Unloaded Multimedia Panel, 1.75"H "
48-Port High Density Unloaded Multimedia Panel, 3.50"H "